Colin Duriez has compiled an amazing resource!! If you love C. S. Lewis you will want this book in your home library. We are huge fans of Mr. Lewis. We have listened to the Chronicles of Narnia while traveling to Maine or Oregon too many times to count. I completely expect my boys to read some of his other books as they get a bit more mature in their faith, and a bit older too. This book, The A-Z of C. S. Lewis is a treasure!! I enjoyed just flipping through and reading. Have you ever realized how things are connected far more than you realize? Or wondered why someone used a character’s name in a book? Well, this book can answer many of those questions and connect many points too. I loved reading through the descriptions of characters from our beloved books, it was like a quick trip back into the book! I also would love for my children to get to know this man and his books more than they already do, so I look forward to sharing this book with them! This is a fun book to flip through or also a perfect book to just read through; it would make a great resource as students read other books and want to see connections beyond those books. I love this book, just another way to go deeper into the mind of C.S. Lewis! Published to coincide with the 50th anniversary of C. S. Lewis’s death, this complete guide covers all of Lewis’ works, from his literary criticism to Narnia. C. S. Lewis’s work is widely known and regarded, but enthusiasts are often only aware of one part of his work-his children’s stories and his popular theology; and yet he wrote so much more, including science fiction and literary criticism. This volume brings together all aspects of C S Lewis’s life and thought. Arranged in alphabetical order, it begins with The Abolition of Man-written in 1943 and described as “almost my favorite”-to Wormwood, a character in The Screwtape Letters. This book will delight anyone who is interested in C. S. Lewis and wants to learn more about him, his thought, his works, and his life. 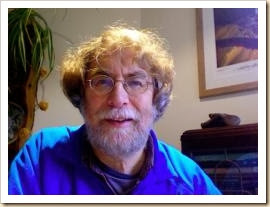 Colin Duriez was for many years a commissioning editor at Inter-Varsity Press UK. He has subsequently appeared as a commentator on DVDs of Peter Jackson’s The Lord of the Rings, and BBC television’s The Worlds of Fantasy. He is also the author of The Inklings Handbook (with the late David Porter), J.R.R. Tolkien and C.S. Lewis: The Story of Their Friendship, and Tolkien and The Lord of the Rings, and has contributed to definitive reference works relating to Tolkien such as The Tolkien Encyclopedia (Routledge). 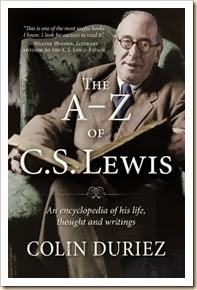 I received a copy of The A-Z of C. S. Lewis by Litfuse, in exchange for an honest review.